Thomas Bladen works in surveillance for a shadowy unit of the British government. During a routine operation, he sees a shooting which exposes a world of corruption and danger. When his on-again, off-again girlfriend Miranda is drawn into the conspiracy, Thomas must decide who he can trust to help him save her life. 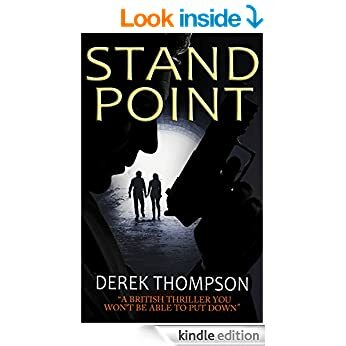 “Standpoint” is the debut thriller by British novelist Derek Thompson. The next book in the series “Line of Sight” will be out later this year.